As you say your “I do’s,” cut the cake and dance the night away, it may seem as if you and your new spouse are destined for eternal bliss. But what happens if there’s trouble in paradise down the road? After all, nearly 44% of marriages end in divorce, and the divorce rate is even higher for second marriages—a whopping 67% to 74%. If you or your spouse is wealthy, expecting a large inheritance or entering your second, third or fourth marriage, divorce wouldn’t just mean heartbreak, it could also lead to some serious financial ramifications. This is why more and more couples are opting to sign a prenuptial or postnuptial agreement. What’s the difference between a prenuptial agreement and a postnuptial agreement? Do you need one? If so, which is the right fit for your marriage? As the name suggests, a prenuptial agreement is made before the marriage. In this type of agreement, the couple determines how they will divide their assets should the marriage ever come to an end. Many critics argue that negotiating a prenuptial agreement before your wedding is wildly unromantic, and the uncomfortable process can doom a marriage before it begins. However, proponents of prenups point out these agreements can save a lot of heartache, not to mention money, in the event of divorce. When a couple decides to split, prenups can prevent nasty, drawn-out, excessively expensive court battles. Because everything is already spelled out in the agreement, everyone knows exactly who gets what, and there’s no room for argument. Yet prenups aren’t just meant to determine how a couple’s assets will be divided after divorce. 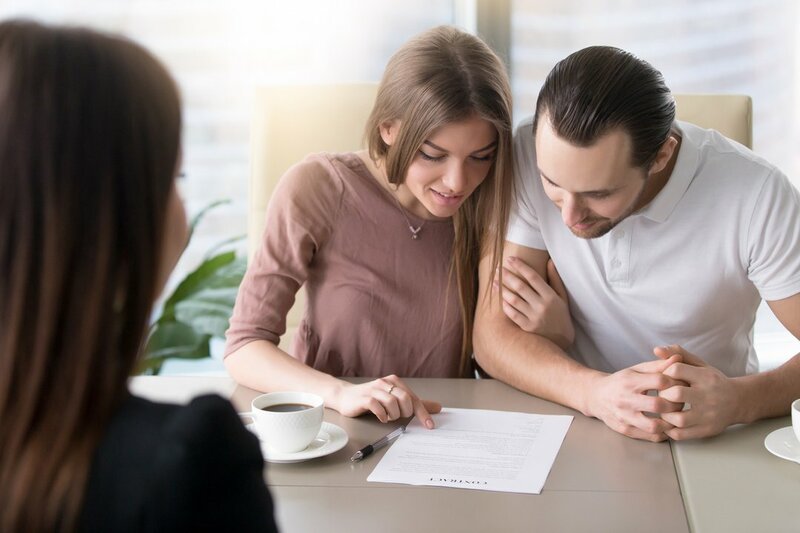 These agreements also spell out financial distributions in case of a spouse's death, which is particularly important for couples with children from previous marriages. On the other hand, most attorneys say prenups are absolutely essential for couples entering the marriage with significant assets of their own or a large estate. In this case, a prenuptial agreement can help protect each spouse’s premarital assets. In addition to financial considerations and asset division, couples often include personal clauses in a prenup. This could be anything from limits on a spouse’s weight gain to consequences of infidelity to who gets custody of the dog or cat. The one thing that cannot be handled by a prenup (or a postnup, for that matter) is anything dealing with the couple’s existing or future children. In the event of a divorce, courts are left to decide what is in the offspring's best interests, and prenup provisions of this nature are generally found to be unenforceable. If you’re considering a postnup, it’s important to understand many of your assets become marital property the moment you utter, “I do.” These might include retirement assets, stock options earned during the marriage and real estate purchased since your marriage. Therefore, you’ll need to determine how to divide these marital assets, as well as any future earnings, in your postnuptial agreement. Many couples opt for postnups simply because they ran out time to sign a prenup. In all the chaos and excitement of planning a wedding, they didn’t have the time (or desire) to sit down and discuss the division of assets in the event of divorce. Others see the procedure as an awkward, overwrought process that is better be put off until after the wedding. Oftentimes, couples who have already been married for five, 10 or even 20 years decide to sign a postnup. In some cases, the couple is giving their struggling marriage one last college try, and they’re using the postnup as an ultimatum. In other situations, one of the spouses might have recently received a large inheritance or a gift, such as a family home, and wants to claim it as their own. Divorce is often considered one of the most traumatic events in a person’s life. However, if you can quickly and amicably handle the financial details after you’ve decided to part ways, it can remove some of the pain from the process. While both of these agreements can be found valid and enforceable during a divorce, some experts claim a prenuptial agreement is often the more straightforward of the two, since it is made before a couple combines assets. Even so, divorce attorneys say a postnuptial agreement is better than no agreement at all, especially for couples embarking on second marriages with sizable assets or large estates. Both documents also clarify issues in the event of the death of a spouse, especially one who brought children into the marriage.